Is the way you do relationships tearing your life and heart apart? Finding the right person for you isn't always easy. If you are searching for love or a relationship, you know that it is more difficult for you. As much as you crave a solid stable relationship, the pattern that you have been in isn't getting you that. Your partner often pulls away, and may even feel "smothered"
Obsessing about him, or fantasizing about past memories or possible romantic opportunities. Fear of real healthy intimacy, vulnerability, abandonment, rejection, and being alone. 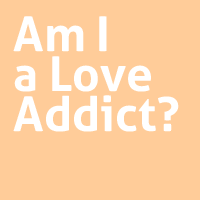 Give me a call today at (626) 463-1422 for your free 15 minute phone consultation to find out about counseling for love addiction. Thank you for contacting me. I will contact you within 2 business days.